Grand Central Terminal (GCT; also referred to as Grand Central Station or simply as Grand Central) is a commuter, rapid transit (and former intercity) railroad terminal at 42nd Street and Park Avenue in Midtown Manhattan in New York City, United States. Built by and named for the New York Central and Hudson River Railroad in the heyday of American long-distance passenger rail travel, it covers 48 acres (19 ha) and has 44 platforms, more than any other railroad station in the world. Its platforms, all below ground, serve 41 tracks on the upper level and 26 on the lower, though the total number of tracks along platforms and in rail yards exceeds 100. The terminal serves commuters traveling on the Metro-North Railroad to Westchester, Putnam, and Dutchess counties in New York, as well as to Fairfield and New Haven counties in Connecticut. Until 1991, the terminal served Amtrak, which moved to nearby Pennsylvania Station upon completion of the Empire Connection. The East Side Access project is underway to bring Long Island Rail Road service to the terminal. Grand Central Terminal has intricate designs both on its inside and outside. In addition, it contains a vast interior main concourse. The terminal is one of the world's most visited tourist attractions, with 21.9 million visitors in 2013. 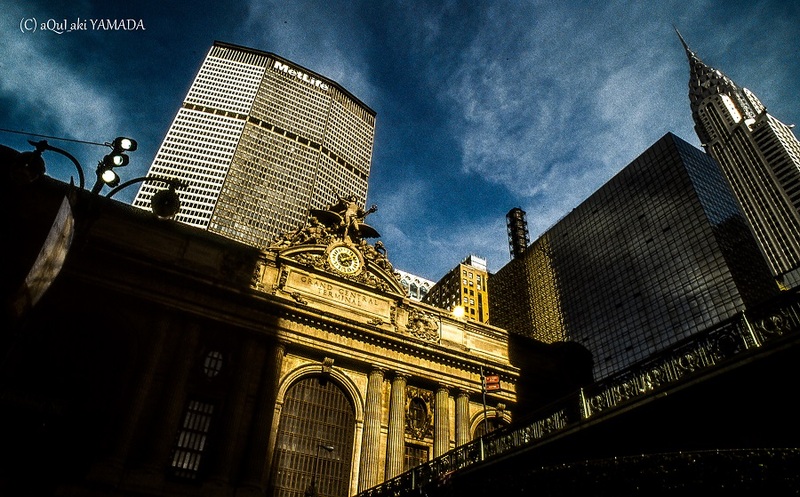 Although the terminal has been officially called "Grand Central Terminal" since the present structure opened, it has "always been more colloquially and affectionately known as Grand Central Station", a name of one of the earlier railroad stations on the same site. "Grand Central Station" is the name of the nearby U.S. Post Office station at 450 Lexington Avenue, but may also refer to the Grand Central – 42nd Street subway station that is located next to the terminal.